Sputnik – The US International Trade Commission (USITC) will examine the effect of lifting sanction-imposed restrictions would have on US exports to Cuba, the commission announced Friday in a press release. “USITC…will provide an overview of recent and current trends in Cuban imports of goods and services, including from the United States, and an analysis of U.S. restrictions affecting such purchases, including restrictions on U.S. citizen travel to Cuba,” the commission said. The report, at the request of the Senate Committee on Finance, will examine what impact the lifting of US sanctions on Cuba would have on US trade with Cuba, while identifying Cuba’s major trading partners and current import and market trends. 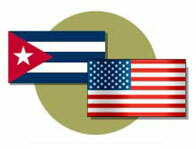 The US maintains a host of congressionally mandated sanctions against Cuba that are unaffected by an announcement in December by US President Barack Obama to normalize relation with the island. Under Obama’s actions the US will open an embassy in Havana, ease travel restrictions on US citizens travelling to the country, and ease certain sanctions. To lift the nearly 50 year embargo against the country, however, congress would have to enact legislation.